This website is for a US-based professional services company. 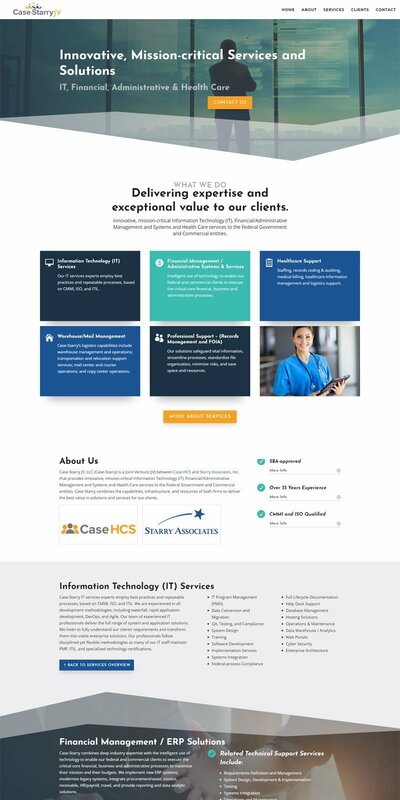 They wanted a website that looked clean and modern, showcasing their services. The design and development was completed in less than a month. The design is a single page with scrolling. The menu items provide smooth-scrolling to the relevant section of the page when clicked. Some micro animations have been used to give the page a dynamic feel, with text appearing or sliding into view on scroll. This site has been built so that the client can easily maintain it themselves, with very little technical knowledge. This was the second site I hired Victoria to build. High quality of work.